Sometimes root canal therapy is needed to save a tooth. If you do need a root canal treatment, Dr. Kardaris ensures that your root canal treatment is made as comfortable as possible. Once the tooth is properly anesthetized the treatment itself is painless. Dr. Kardaris uses rotary instruments which make the procedure much faster. Dr. Kardaris is expert in the use of an innovative, but proven root canal treatment system.This system is known for getting much better results and less root canal treatment failures. A root canal treatment can be done in one visit. But Dr. Kardaris wants to ensure a good outcome and less pain for her patients in the long run. She takes into account your body and how sensitive you are and sometimes prefers to do the treatment in two visits to ensure proper healing and for greater comfort. A root canal is a pulp-filled cavity in the root of a tooth. Root canal therapy is performed to save a tooth that has an infected root interior. The infected pulp is removed, and the inside of the tooth is cleaned and filled with a rubber-like material. Dr. Kardaris will often place a crown on the tooth to protect it. Although the root itself is now dead, the tooth can continue to function as it is nourished by the tissues surrounding it. Doing a root canal to save a tooth has the advantage of maintaining efficient chewing and normal biting forces and maintains the adjacent teeth in position. A root canal is needed when the pulp inside the tooth is infected or there is nerve damage. An infection usually results in pain and possibly an abscess. Sometimes you won’t notice any pain but mild to severe persistent pain is a definite symptom. Another definite sign is if you have swelling around the gum line, an abscess near the tooth or a pimple. The tooth can also become discolored. If you have any pain or discomfort in your mouth you should come in as soon as possible so that Dr. Kardaris can take a look. Prompt action can sometimes prevent the need for root canal treatment. 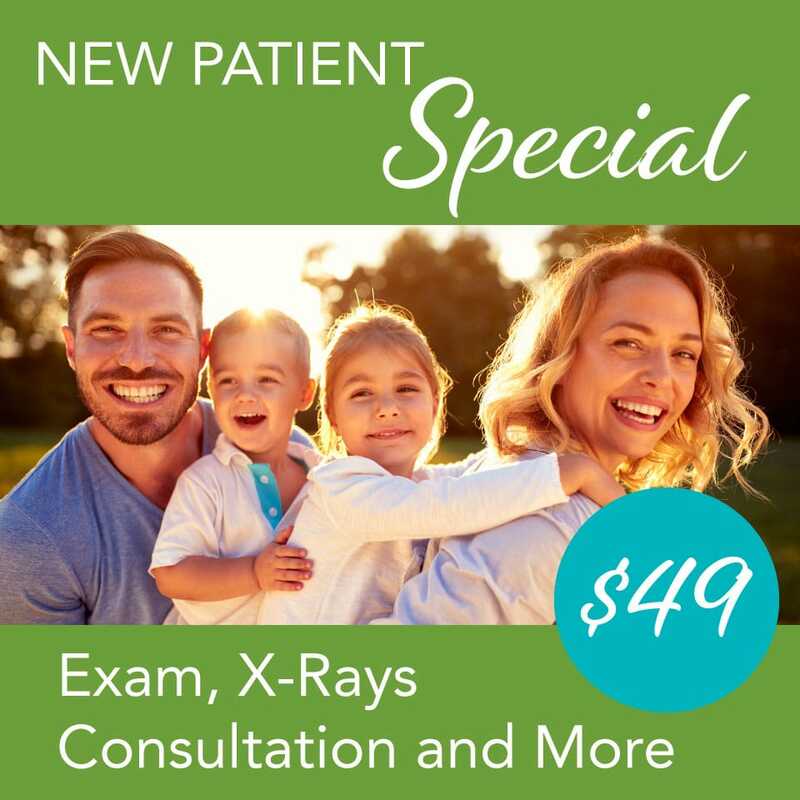 You can take advantage of our new patient exam special if it is your first visit.